The recent news that a leak at the National Archives in Boston damaged about 300 hundred cubic feet of records during the government shutdown was hard to hear for many of us who work with records collections as caretakers and researchers. 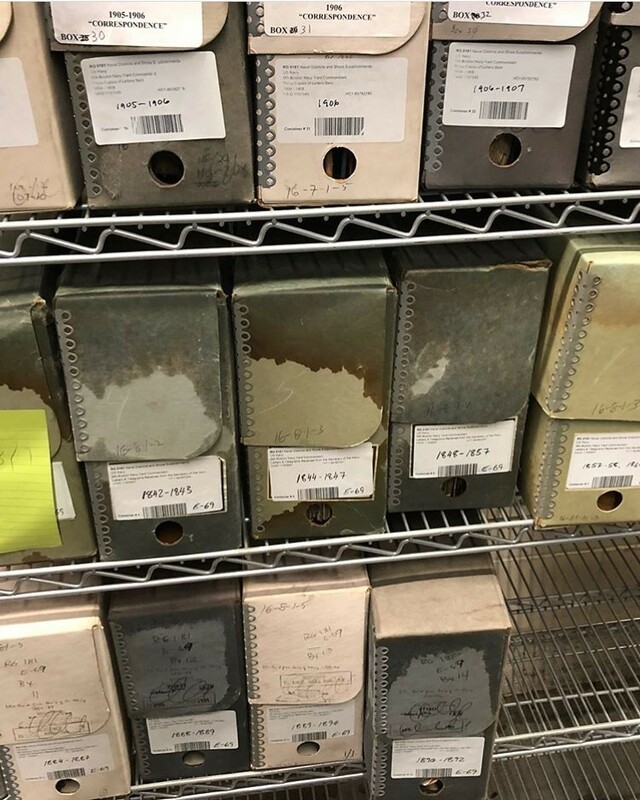 While I immediately thought about the loss of the 1890 census in 1921 and the fire at the National Personnel Records Center in St. Louis in 1973, I was relieved to hear that most of the damaged records only need to be air dried and rehoused in new folders and boxes. This reminded me of a fascinating tool created by Suzanne Morgan, a conservator at Arizona State University to help archivists and conservators find the perfect container for any item they might encounter. Proper housing is the simplest and best preservation tool for archival materials. 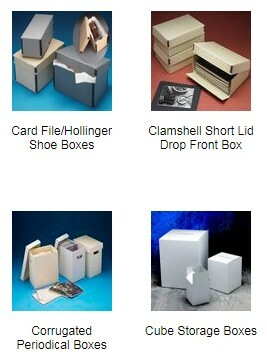 According to the National Archives and Records Administration, “housing enclosures provide physical support and protection as well as a buffer against adverse or fluctuating environmental conditions.” Essentially, papers neatly filed in folders inside a box are safer from tearing, bending, light exposure, and even water than papers in a stack on a shelf. What the housing is made out of is obviously important – acid-free materials prevent discoloration and disintegration – but so is the size of the housing. Items stored in a box too big can shift around and be bent or torn, while items can be scraped and crushed by the very act of inserting or removing them from a box too small. However, finding the right housing materials can be an overwhelming challenge, as there is an almost infinite number of container types, sizes, and shapes available for purchase from Hollinger Metal Edge, Gaylord Archival, University Products, and other vendors of archival supplies. That is where Suzanne Morgan’s tool comes to the rescue. Items stored in a box too big can shift around and be bent or torn, while items can be scraped and crushed by the very act of inserting or removing them from a box too small. 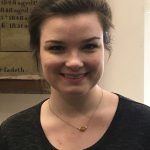 In November 2018, Suzanne shared a Google Docs spreadsheet titled “Archives Housing Solutions” via Twitter. To describe it in the simplest terms: you select the type of container you are looking for (document case, flat box, envelope, etc. ), enter the dimensions of the item you wish to house into the appropriate cells, enter how much additional space is acceptable. Then a formula populates another cell with a list of available products from several vendors that will fit the item. You can even narrow the search to a preferred vendor. Instead of searching through the numerous pages of multiple vendor sites and reading the dimensions of hundreds of items, you can find a home for your item in just a few minutes and go to the vendor website armed with an item number for easy ordering. I used this tool myself while working on rehousing a small collection of family papers and discovered that there was a box specifically for housing large rolls of paper that I never came across when searching the Hollinger Metal Edge website. I was blown away by the incredible amount of work and talent that Suzanne Morgan and her colleagues put into this resource, and so grateful that she chose to share it with the world. So, for all the archivists, librarians, conservators – and those of you who are fans of the Container Store – I pass along this fabulous tool to solve all your record housing needs. National Archives at Boston, “Last week, during the #governmentshutdown, #MotherNature paid a visit to our facilities,” Instagram, 30 January 2019, www.instagram.com/p/BtO4FVYALct. “Storage and Handling,” National Archives and Records Administration, 23 May 2017, accessed 30 January 2019, www.archives.gov/preservation/storage. @Kw33n5uxincus, ”So who here wants to see my magical archives box-matching spreadsheet?,” Twitter, 5 November 2018. Very helpful post. Thank you Catherine. The s4perfect container pread sheet sounds good. It would be helpful if it was available outside Google drive, thus available to many more people. How can I get this. I do not use Twitter. The link is included in the article click on “Fabulous Tool”! Very helpful information for those of us volunteering at Historical Societies.